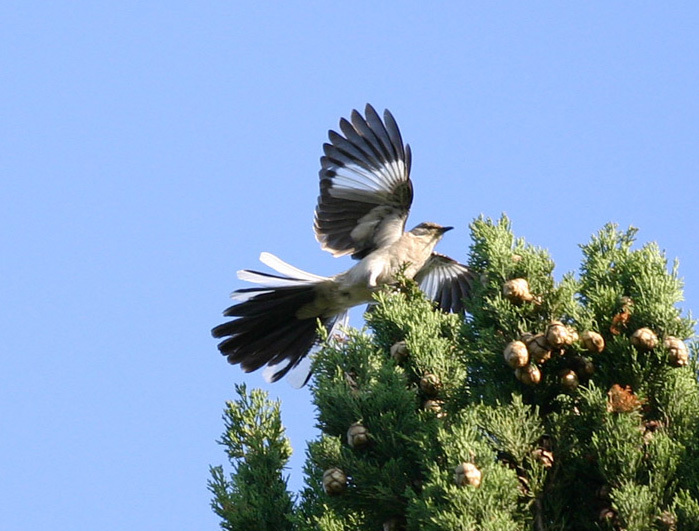 I’m thrilled to report that I think I’ve got a nesting pair of Northern Mockingbirds in the back yard. They earn their names by loudly and enthusiastically mimicking other birds, creating the bird version of musical mashups, which they broadcast with vigor. I can hear threads of numerous other bird songs in the male’s call, as well as another element: a very clear, distinct “meow! meow! meow!” I’m thinking he’s been teasing someone’s house cat recently, and listening carefully to the results.